Hello lovelies, so a couple of weeks ago an old friend of mine Zoe came over and gave me a little pamper! 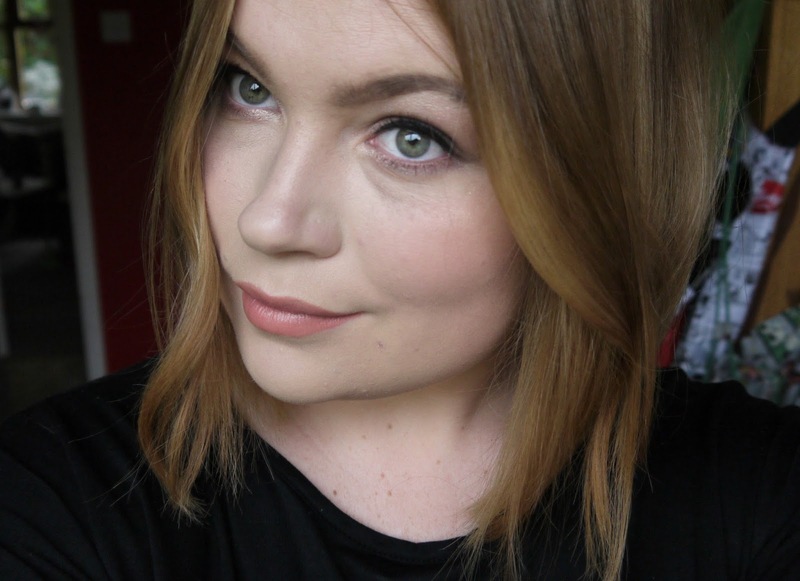 I wanted to go lighter to match my new caroline flack bob I have going on and she did just that! I hadn't seen Zoe in absolutely ages and she openly admitted she had never done a balayage on a human head before, I obviously had full faith in her! As you can all see she didn't let me down! How amazing to do a whole new look without doing it before, with a little help from youtube believe it or not. Zoe made me feel so at ease, we chatted a lot and it was nice to be pampered in the comfort of my own home, benefits of being a mother! 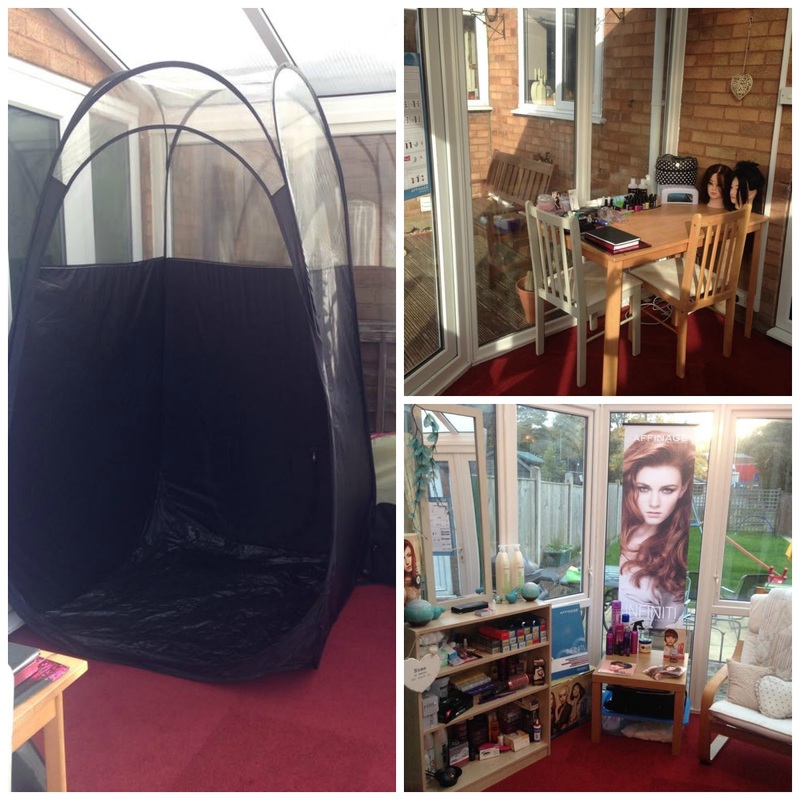 It's hard for us mums to go to salons with little ones and struggling for child care, you wouldn't be able to relax at all so Zoe has that great advantage of working from home in her own lovely salon which I will show you in a moment and also comes to your home if you live locally in Rugeley/Cannock. 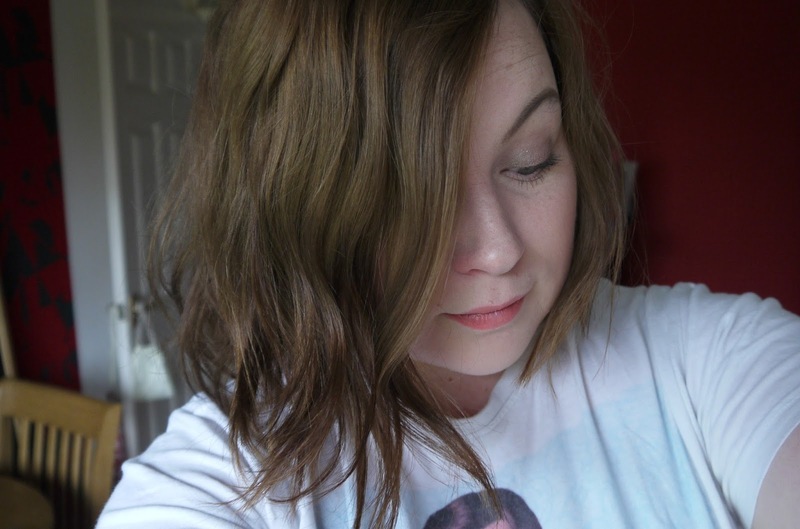 I was so happy with the results and want to go even lighter now, I'm seriously debating a fringe too what do you think? I always crave a fringe in the autumn/winter because you haven't got to worry about that awkward sticky forehead situation. 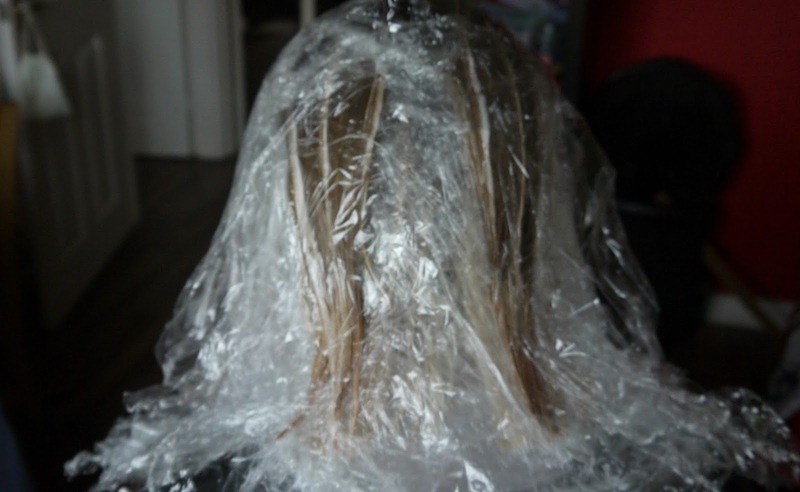 Anyway back to the balayage journey, as you can see Zoe did a clingfilm process, which we both thought was way better than foiling as you could see the bleach working in full force instead of clock watching and guessing. Zoe used Wella bleach and hair colour on my head to get the finished look, I always get complimented when someone I haven't saw in ages see's me and they all want to go lighter so I point them in the right direction (Zoe). 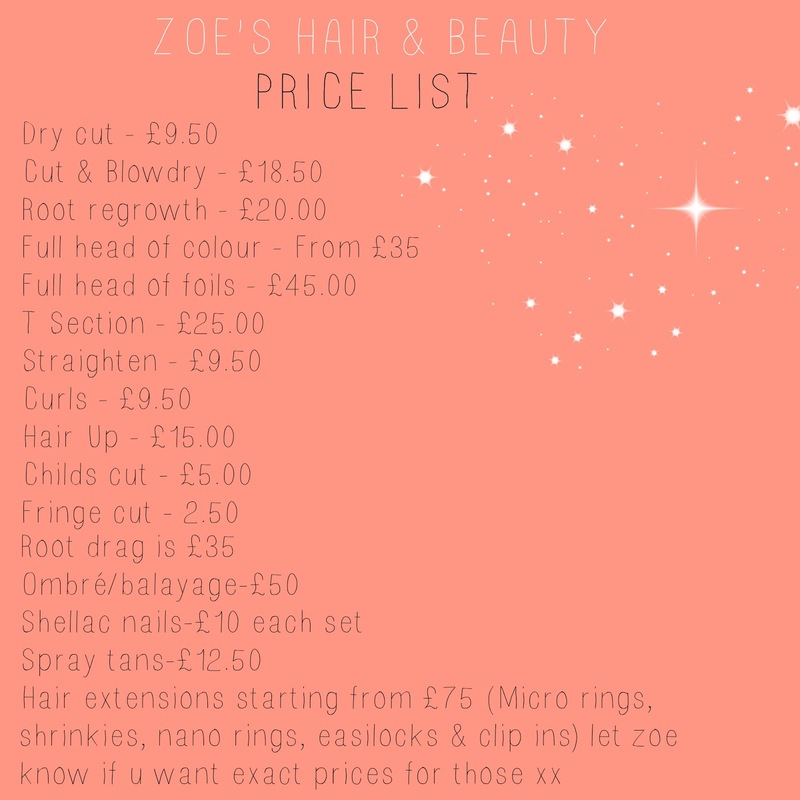 Considering Zoe has only been doing this for 6 months she has been doing amazingly, I love some of the work she has done which I will share below now but not only is she great at hair she can do nails and spray tans! 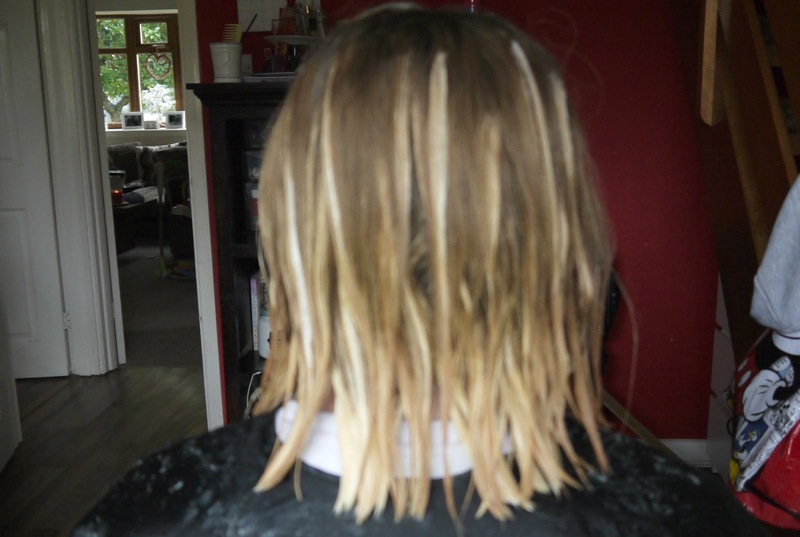 She is also now starting to do hair extensions all keeping up with being a mum to two little darlings, what a woman. I'm so glad I went for the plunge of going lighter, my hair is still in great condition and it was lovely to catch up with Zoe, I loved feeling so at ease and comfortable as sometimes when I walk past certain hair dressers they can give you glares and it really puts me of even wanting to step through the door, there is nothing better than sitting in your own home with your own brew enjoying a pamper or if you do want to get out the house enjoy Zoe's lovely little salon she has at her own home. 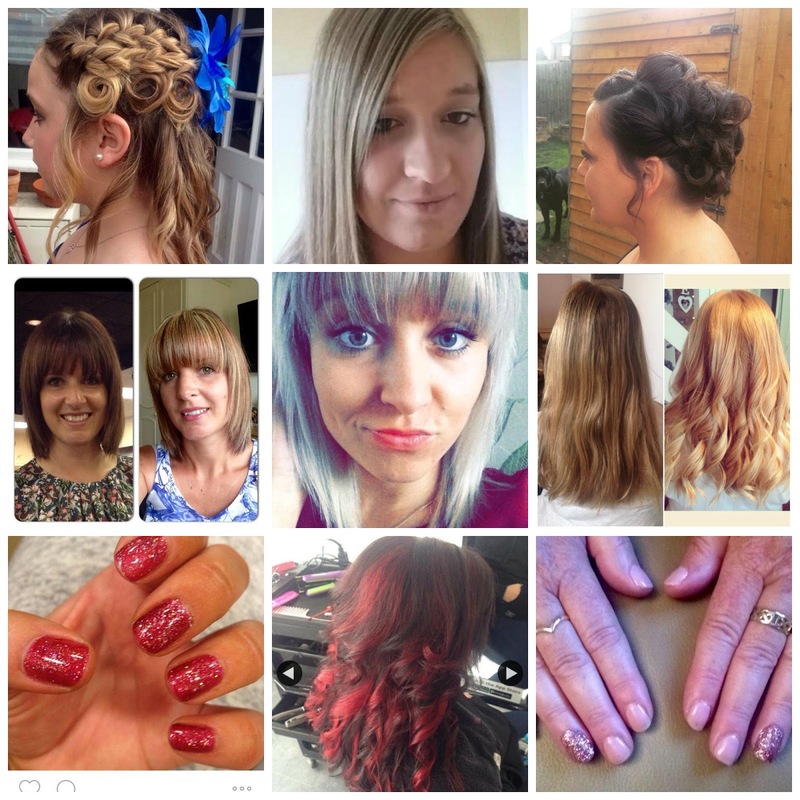 Zoe is the pretty little thing bang in the middle of my little collage sporting her new fringe! Her lovely salon above too, thanks so much Zoe for making me feel great and I'm looking forward to you making me even lighter this week! I wouldn't hesitate to spur any of my friends on to try Zoe out if there thinking of a hair change/nail change or fancied a spray tan!